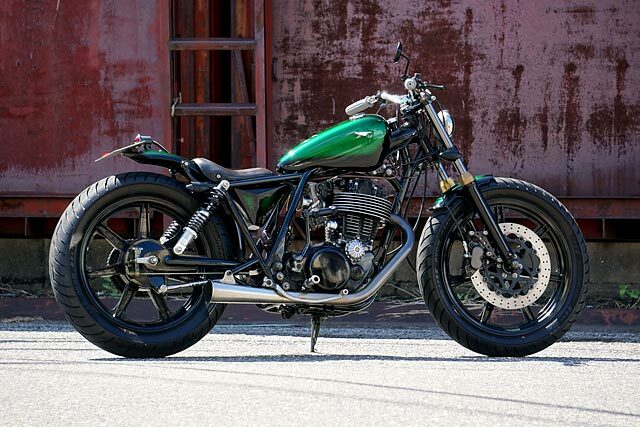 If you’ve been paying attention to custom motorcycles for more than fifteen minutes you’ll be aware of Yamaha’s evergreen SR400. In the west its dominance of the scene is a relatively recent phenomenon, but custom builders in Japan people have been doing it for decades. 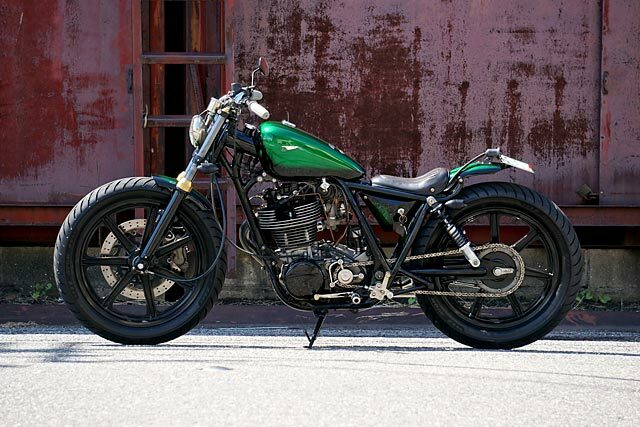 One of these shops is Heiwa motorcycles, who’ve re-birthed this tidy little SR400 bobber. 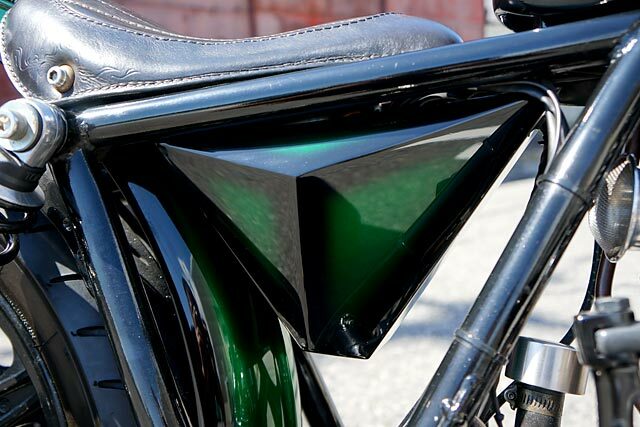 I say re-birthed because this bike was actually completed years ago. 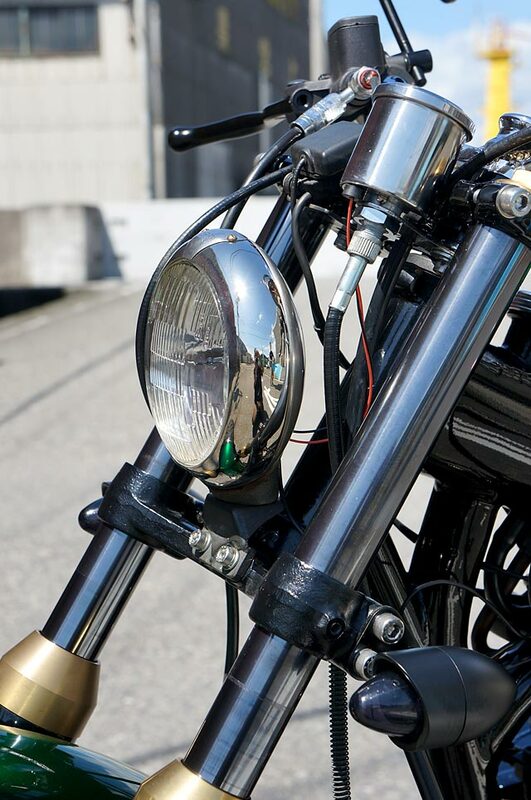 But in a story familiar to many the bike that had undergone hundreds of hours of work was thrown down the road and was in dire need of repairs. So including the initial build, the (limited) time spent on the road and then it’s final horizontal tango and then rebuild means this bike has being worked on the last five years. 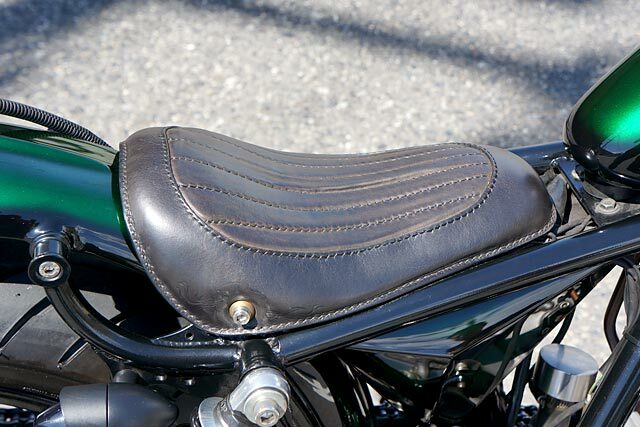 Now the majority of the work Heiwa does is on Japanese staples like the W650 and Honda Rebels. 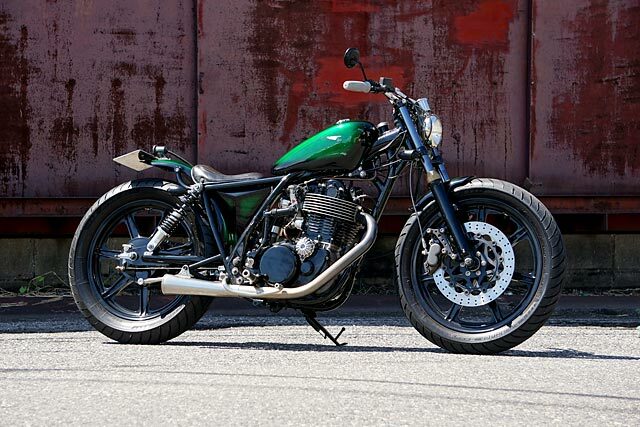 But clicking through their website shows plenty of SR400’s in a similar vein to this one. It’s easy to become desensitised to them, but there’s quite a bike of work going on here – and some of it particularly difficult and expensive due to the Japanese market. But more on that later. In the meantime the engine has had a freshen up – and the 400cc SOHC engine has been been taken to 526cc’s. With the SR that means a change in flywheel to the old 500cc model and a high compression piston. It also runs a lumpy cam and a gorgeous Keihin FCR41mm flat slide carburetor. It’s a combination that’s time eternal in Nipon, like sake and karaage chicken or vending machines that sell used women’s underwear. But outside of that the SR’s modifications are easier to spot. The engine itself has larger fins welded on and and painted barrel, head and sidecovers and runs a free flowing exhaust. 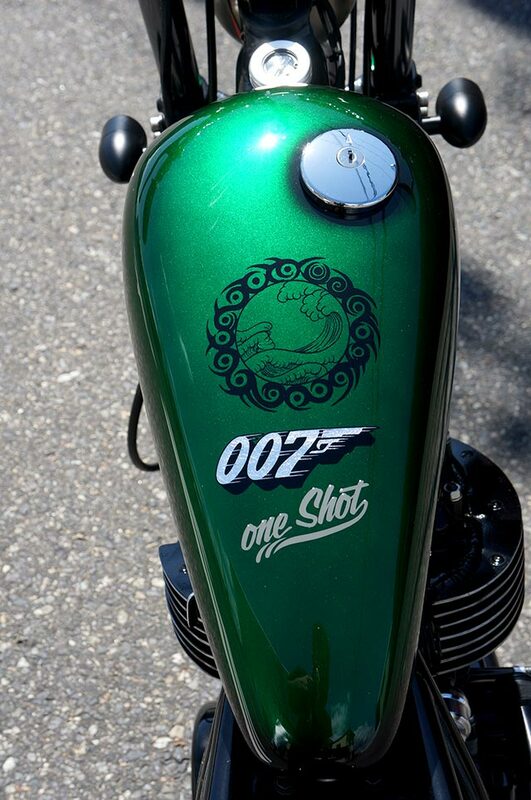 The frame has been chopped and the aftermarket fender and tank sports a green sunburst finish – complete with 007 inspired graphics – as it’s the 7th SR the team has built. 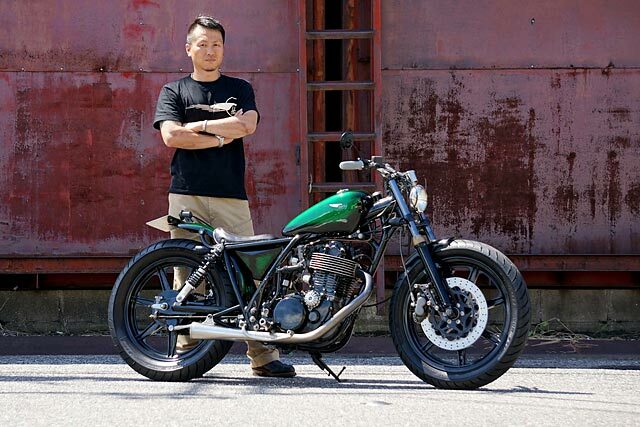 The controls are a favourite setup of the guys at Heiwa, as Kengo Kimura explains. 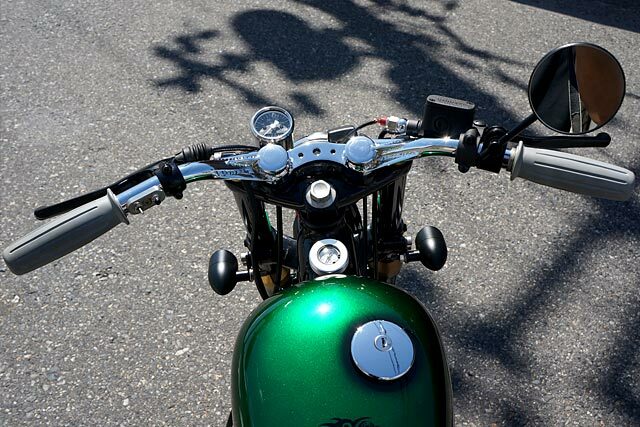 ‘We wanted a clean look across the handlebars and to do that I needed to get rid of the decompression level. So we rerouted everything and made it a food decompression. I haven’t seen that method done yet!’ Helping this along is a neat little switchblock from Posh. …Well, I could probably afford an SR like this. 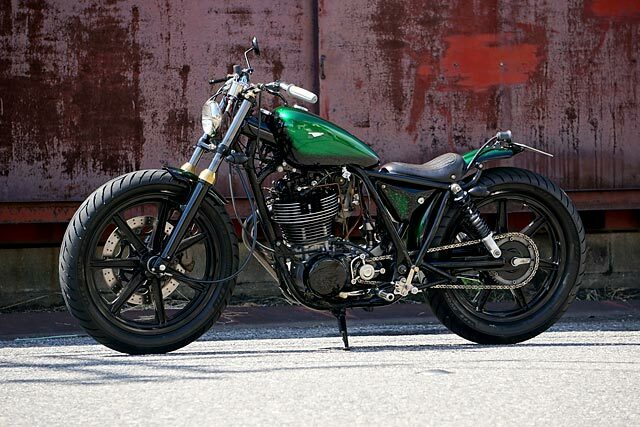 Bobber SR400’s are frequently overlooked by the custom scene who opt for bigger displacement American v-twins. But there’s something about a little single beastie like this that looks just right to me. They’re light, nimble little things that, after some engine work, would be a blast to ride.